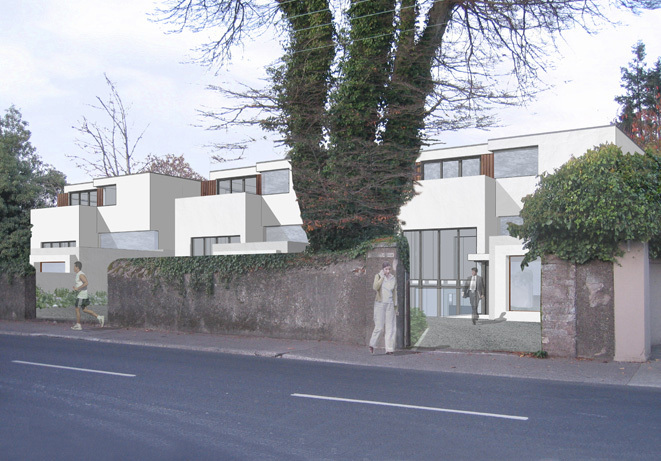 A single house of little historical or architectural merit was to be demolished to allow for three new detached houses with split level sections to maximise floor areas. 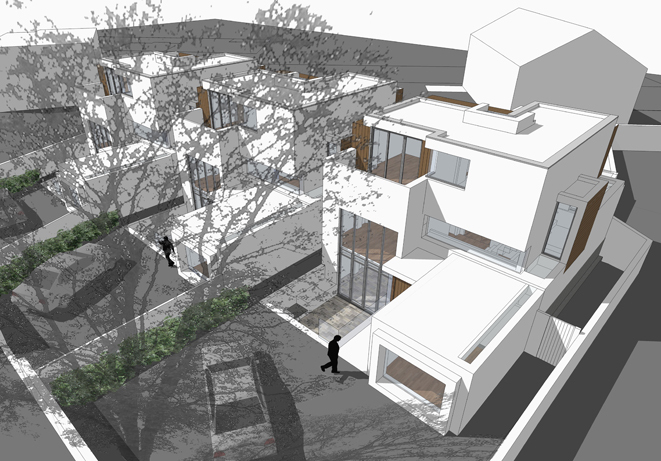 Each house is comprised of two rectangular forms and a projecting study at ground floor level. 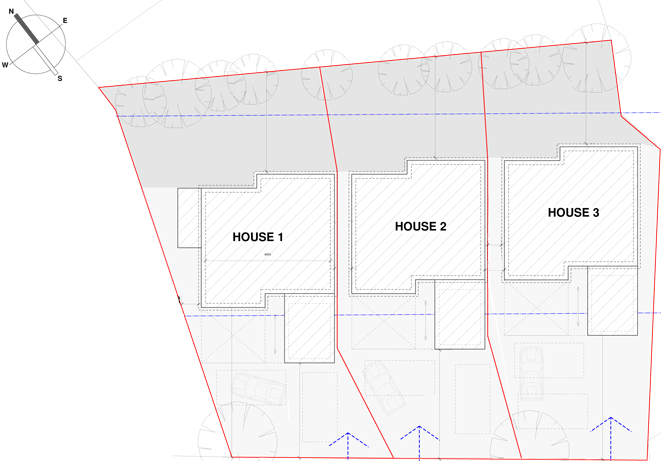 The houses are two storey over a semi-basement so that they read as lower than a typical two storey pitched house. Both ends of the semi-basement have floor to ceiling glazing allowing plenty of natural daylight and direct access out to sunken patios and stepped rear gardens. The top floor is set back on almost all sides to reduce impact when viewed from the road and neighbouring properties. 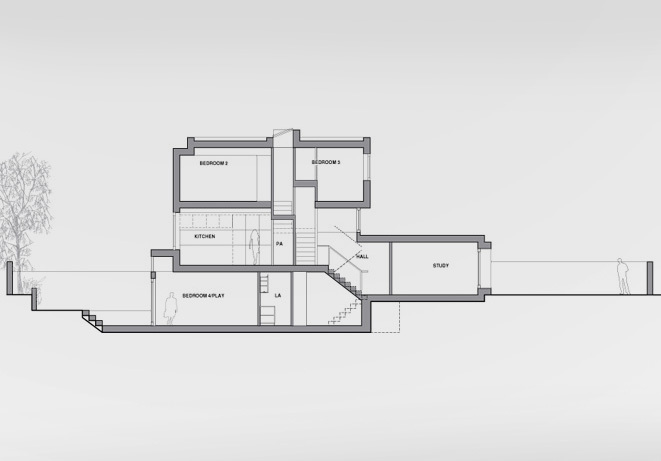 The split level is achieved by having reduced floor to ceiling heights in areas such as bathrooms, ensuites, wardrobes. Clerestory windows in the hallways allow light deep into the stairwell and to the lower ground floors.